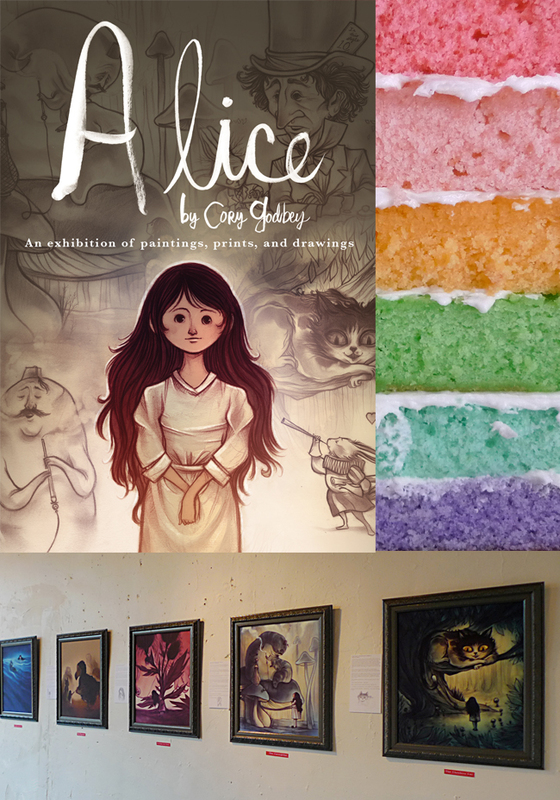 A slight interruption from my Europe posts to let you know that the third and final showing of Cory's Alice show opens tomorrow night. There will again be massive amounts of rainbow cake, so come on out! Alice by Cory Godbey is a new art exhibition of paintings, prints, and drawings based on Lewis Carroll's Alice in Wonderland.